With just a few days to go until we stride into 2014, it is time to get down to the nitty-gritty and make those New Year’s Resolutions that we have no intention of keeping! The most popular New Year’s resolutions may include dieting, drinking less, and exercising more, but let’s face it; they are all a bit boring! So, why not do something truly amazing in 2014, and climb Mount Kilimanjaro for your favourite charity or quite simply for yourself! Climbing Mount Kilimanjaro is demanding, but it is not a technical climb, and therefore anyone with a relatively good level of fitness can reach the summit. Thanks to its central location in Tanzania, Mount Kilimanjaro is easily accessible from most international airports, and flight tickets from Europe and the US are now cheaper than ever before. You can combine your Kilimanjaro Climb with a Serengeti Safari, a beach break in Zanzibar, or even, Gorilla tracking in Rwanda. Climbing Kilimanjaro is affordable to most, and providing you choose a registered company to climb with, the local Tanzanian economy will benefit from your visit. Climbing Kilimanjaro is like walking from the equator to the North Pole in just one week. The vegetation changes dramatically as you climb, and you can expect no less than five different eco-systems. Sadly, climate change is having a negative effect on Kilimanjaro’s glaciers, and scientists now predict they could be gone completely within the next 20-30 years – so make sure you see them before they are gone! By climbing Kilimanjaro for your favourite charity, you will not only help those who need it most, but it will make your climb even more rewarding. If your New Year’s resolution is to diet or get fit, training for Kilimanjaro will help keep you motivated long after January has passed! 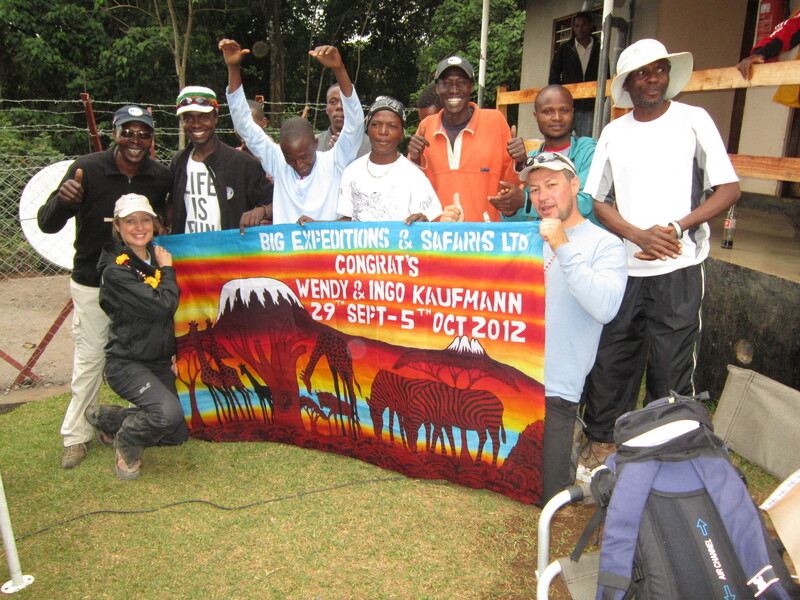 Kilimanjaro is a once in a lifetime experience, so why not be one of the plus/minus 40,000 who will climb it in 2014. Kilimanjaro Mountain Guides and Porters rely on tourism to feed their families, so by climbing Kilimanjaro in 2014 you will make your own dream come true and support those less fortunate by providing much-needed jobs. It is not only the altitude that will leave you breathless on Mount Kilimanjaro – the views from Uhuru Peak will take your breath away. Camping on Africa’s highest mountain is great fun and a great way to meet new people – and just imagine the stories you will have to tell your grandkids! On a clear night, you can see the entire Milky Way from Mount Kilimanjaro – and that was certainly a highlight for me. Climbing Kilimanjaro is an amazing achievement. The feeling you get when you stand at the top of Uhuru Peak makes every step, every breath and every penny spent worth it! You can climb Mount Kilimanjaro throughout the year, so why not book your private climb, group climb or charity climb now, and make 2014 your year to do something unforgettable!